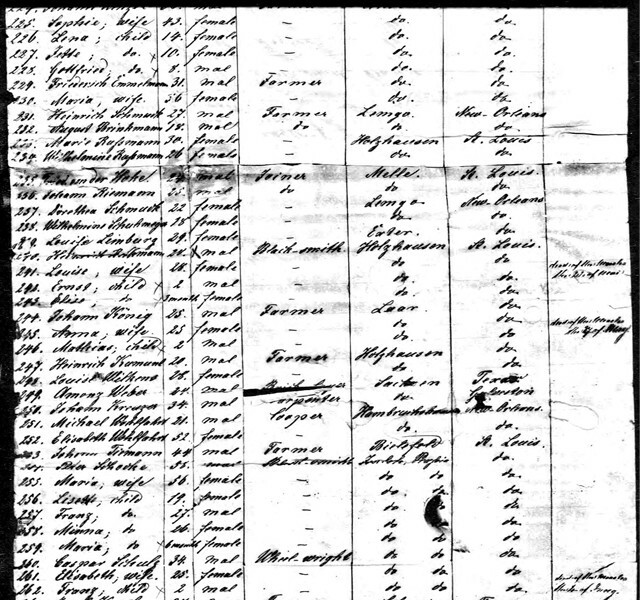 Here are some pages from the passenger manifest of the UHLAND, which arrived in New Orleans on 30 June 1854 from Bremen. 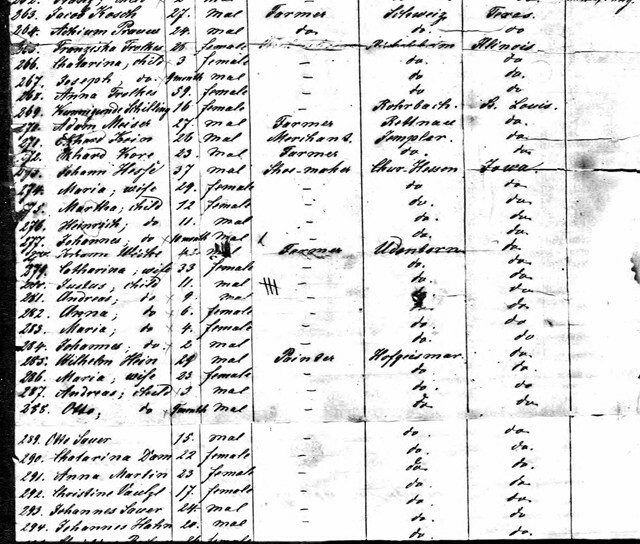 It shows immigrants from Hofgeismar but is should be Geismar! Chur-Hessen family might be from same towns. 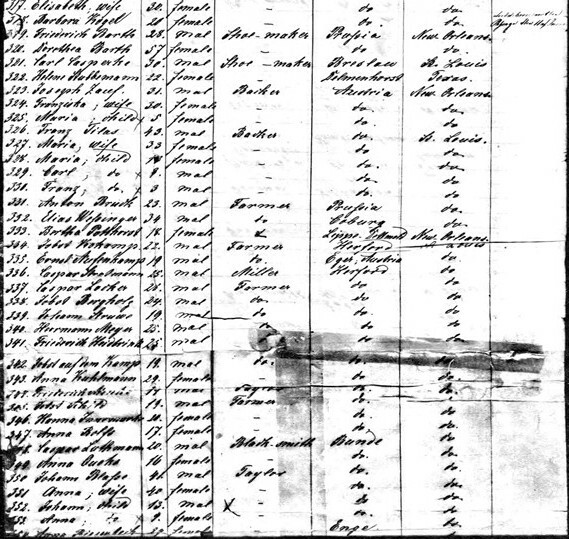 The others, noted as headed for Iowa, are Udenborn and Christian Rockerl or Rockert. Christian is from Eubach, which is right by Geismar. 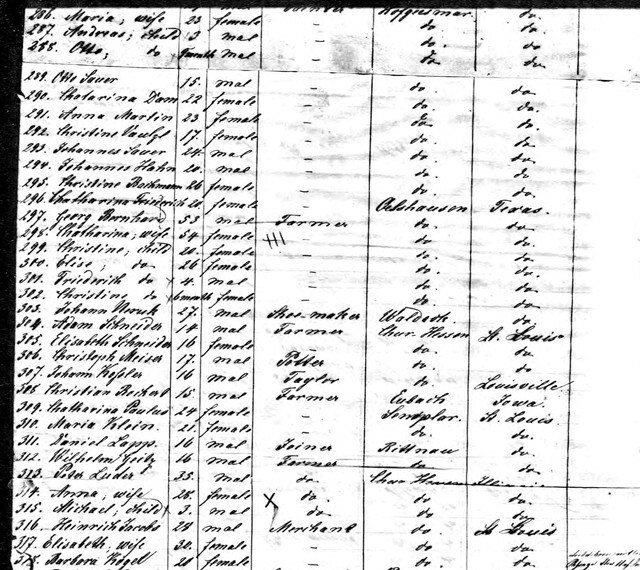 There are also families from Oelshausen, which is a town right next to Geismar, but it looks like they were headed to Texas.